The story of Breguet n° 3624 is a nice fit for today’s burgeoning use of “gentleman” as a marketing term. The Marquis Malaspina went to Paris in 1881 and took the opportunity to visit Breguet’s store, at that time at 12 Rue de la Paix. He went to Breguet because their watches were simply the best. 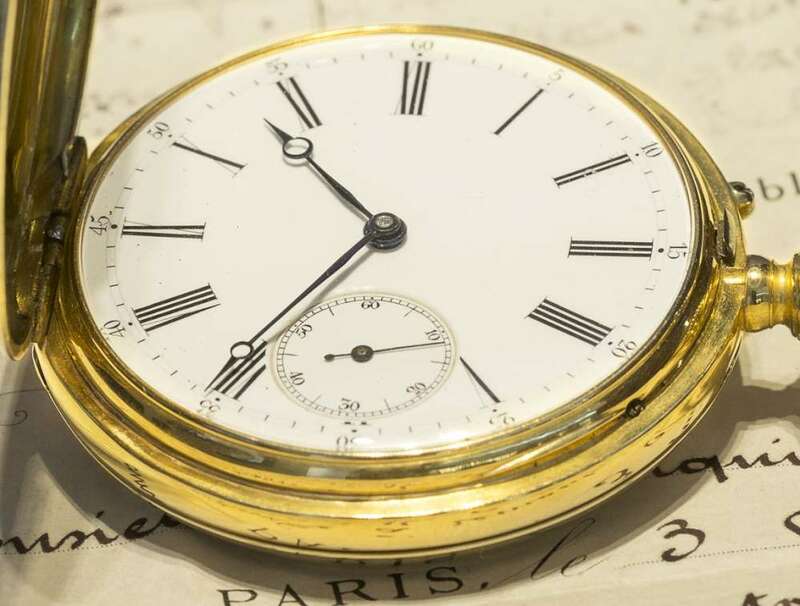 And he bought a hand-wound savonnette pocket watch with a gold case, personalized with the engraved initials O.M., an enamel dial with small seconds subdial, gold hands and crown. The price was 525 francs. It’s not easy to understand how much that figure would be today: as the franc was pegged to gold (1 franc = 0.29 grams of gold), the price would be €5,328 today. Alternatively, starting from the price of 1 kg of white bread in francs at the time, 0.44 francs, and comparing that to the current price of €2.64/kg of white bread, we reach a price of €3,150. Rather different to Breguet’s current price positioning. The documented history of the Malaspina family runs back to the 12th century, when the emperor Frederick Barbarossa rewarded Obizzo Malaspina for his loyalty with a certificate listing the courts, castles and lands under the family’s control, principally in the areas of Bobbio, near Piacenza, and Lavagna, near Genoa, in north-western Italy. The family started growing vines in 1772, and today, the Marquis Obizzo Malaspina, with his son Currado and wife Beatrice Brichetto Arnaboldi, make a Metodo Classico spumante, as well as local classics such as Trebbianino Val Trebbia, Malvasia, Barbera, Bonarda, Cabernet, and some rare, prestigious labels such as Càsor made from Nebbiolo grapes and aged for 36 months in oak barrels. Visit the Marchese Malaspina website for more on their wines. Obizzo and Currado are two gentlemen of two different generations, but when I met them, albeit briefly, some characteristics that I would associate with the term were immediately apparent. An easy-going confidence, ready to greet anyone and everyone with a smile and a handshake, with no trace of conceit or snobbery, seemingly at peace with the world and ready to take on all the challenges of the day. Smartly dressed, no trace of any particular brands, but with a careful attention to detail. 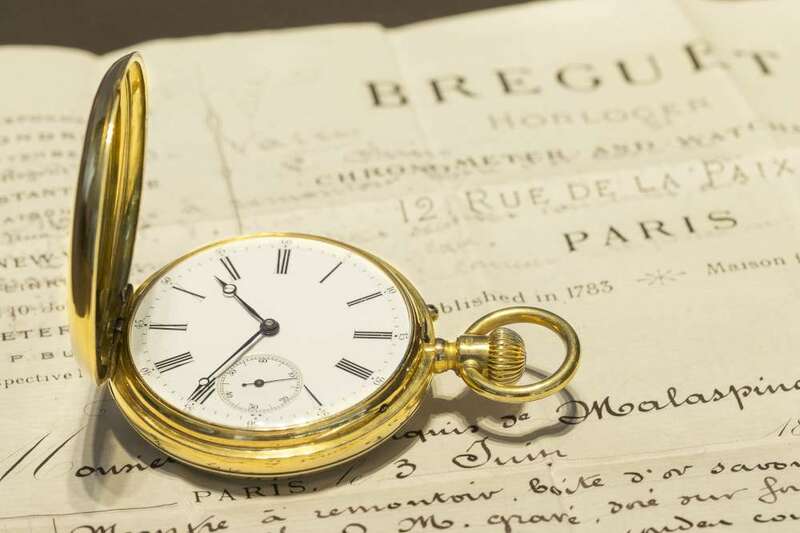 Breguet’s pocket watch n° 3624 has always been part of the family, and it has always been carefully conserved complete with certificate and the red leather box. 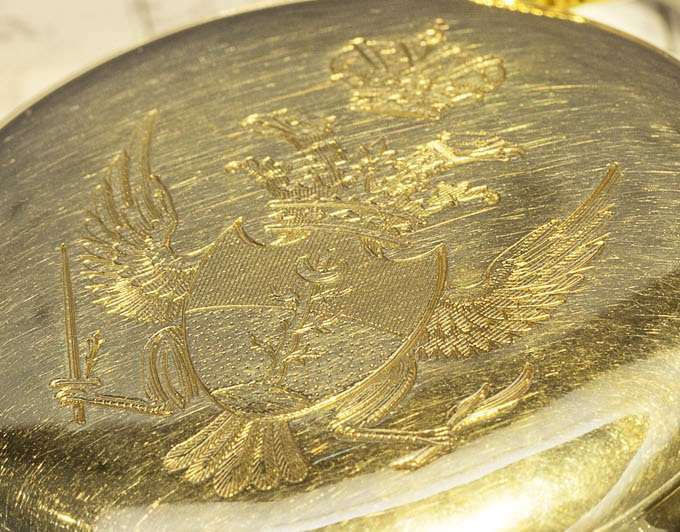 The many fine scratches on the outside of the case show that the watch was regularly used for quite a while. 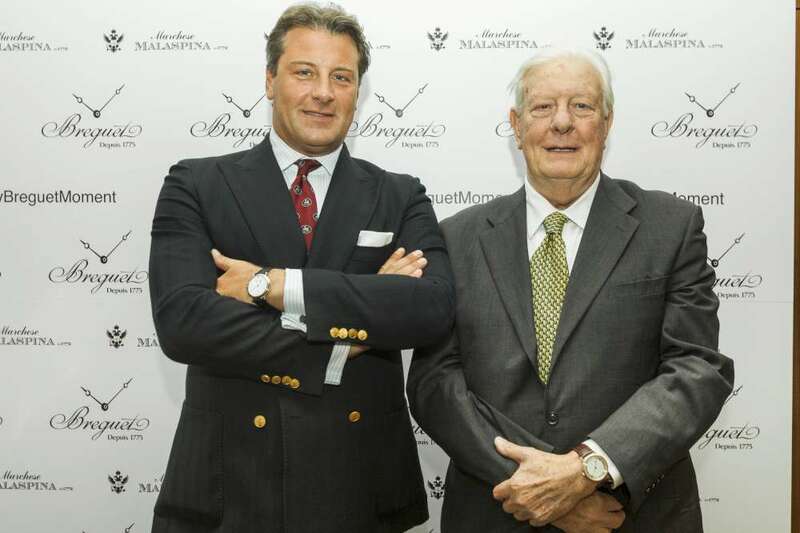 Currado Malaspina brought it to the Breguet boutique in Milan himself, and Breguet’s staff thought that it would be a nice idea to include both the watch and Marquis Malaspina’s wines in the event called “La Vendemmia” in which labels are presented in boutiques on Via Montenapoleone. There is one feature of the watch that I find interesting with respect to the concept of a gentleman. There is no visible brand name. The Marquis back in 1881 bought it because he was convinced that it was the best, and that was all he needed – just knowing himself that it was a quality product was sufficient. Today, very few watch brands make watches without a brand name. 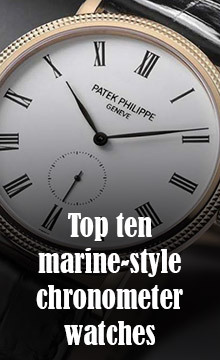 The only ones that I can think of are a few German companies who make pilot’s watch reproductions which, like the originals, have dials bereft of any indication of the manufacturer, and H. Moser, who have adopted an interesting stance with respect to branding and the “Swiss Made” label beloved by the industry. All this invites reflection on something that a lot of brands are proposing at the present time: which is the most appropriate watch for a gentleman? Which shall be the subject of an upcoming post.